The Leader of the Opposition said he'd "relish" a televised head-to-head. She is infamously known for having made Amber Rudd replace her during a general election televised debate, mere days after the then Home Secretary had lost her father. But now the final Brexit deal is out, the PM is eager to argue it out. And while Jeremy Corbyn’s office took a few hours to respond – triggering many a pundit to suggest they’d eat their hat if he agreed – the Labour leader gleefully rose up to the challenge. Unsurprisingly, the internet lost it. Theresa May wants to do a TV debate with Jeremy Corbyn to defend her Brexit deal. You know, that thing she avoided like a plague during the general election in 2017 and sent Amber Rudd in her place. Yeah, she wants to do one of those. 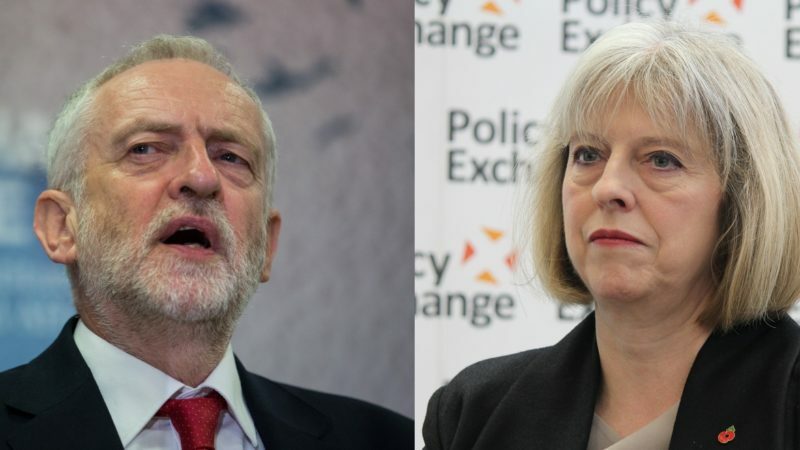 Things that will never, ever happen: Jeremy Corbyn agreeing to debate Theresa May on a policy document. A Corbyn/May Brexit debate would be just about the worst television imaginable. A date for the debate is still not 100% confirmed, but one would expect it to take place in the next couple of weeks before Parliament goes into recess. What exciting times we live in.